Our association is broadly known for maintaining the quality in offering Crown Molding. 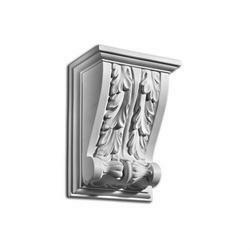 Being a reputed company in the industry, this is our responsibility to offer standard quality Crown Molding. Backed by years of industry experience, we are engaged in offering a premium quality range of Plain Moulding. Empowered by the usage of advanced technology, we are engaged in offering a broad assortment of Decorative GRC Moulding. We are a unique entity in the industry, actively committed towards offering a finest quality collection of Architectural Mouldings.